View - 4338 N Norwaldo Av. 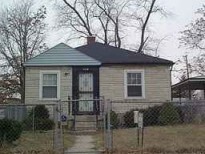 2 bedroom bungalow with newer carpet in bedrooms and living room. Kitchen has new cabinets and counter tops. Come see today!